We didn't have local teams in the NCAA Tournament to watch this weekend, but we made up for it with controversial development plans, singing cops, a "cloud and atmosphere of negativity" around the Sabres, and more. Orchard Park has had its share of major developments, from shopping centers and medical parks to an NFL stadium. But the one town officials are looking at now is unusual, even by those standards. The proposal being considered, for open land in the town but a short distance from the heart of the Village of Orchard Park, would include the town's first multistory hotel, 70 single family homes, small retail space and possibly a facility for people with dementia. Robin Lehner is having a good year with the New York Islanders, who clinched their first playoff berth since 2016 with Saturday's win against the Sabres. What was not so good? His time in Buffalo, apparently. "I don't think we've quit. At this point, it's definitely tough. It's a struggle. It's been a long year. You can say that. Quit? No. We're going to play tomorrow. We should be mad about this and bring our best effort. That's all I got." The team has four more games, including one tonight in KeyBank Center, to prove it. Jay Ruof, the owner of the 93-year-old movie house in the Village of Hamburg, tells village officials that he's going to turn down a $225,000 state grant because the $75,000 he would have to contribute is too much money. But, he says, that doesn't mean the theater is in jeopardy. "I'm not ashamed by any measure," Ruof said. "We can't afford our portion." Dwane Hall, the owner of the Sportsmen's Tavern, never graduated from high school — he left Riverside when he was a junior, enlisting in the Marines. "I must have thought about getting my GED a gajillion times," Hall said. 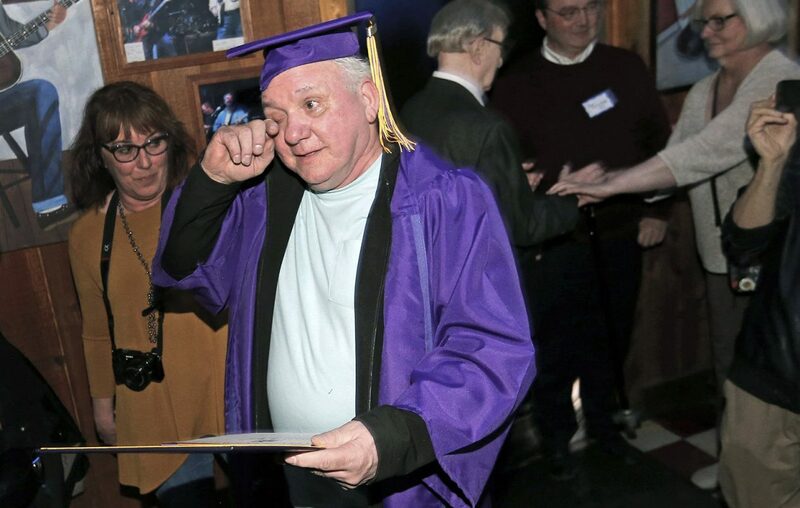 Thursday night, Sean Kirst was there to capture the jubilant scene when Hall's wife, friends and former classmates surprised him with a diploma. Buffalo Police Officers Moe Badger, a former professional gospel singer, and Michael Norwood Jr., a self-described "legendary shower singer," just got back from taping a segment for "The Ellen DeGeneres Show." Their segment airs Monday. "It felt absolutely amazing. It was a once-in-a-lifetime opportunity," Norwood said. During the holidays, he and Badger were among the "Caroling Cops" who sang Christmas songs at the Walden Galleria, Broadway Market and The Shops at the Market Arcade. Each month, Susan Martin profiles a house in Western New York that will make you wish you had better (or any?) interior decorating skills. 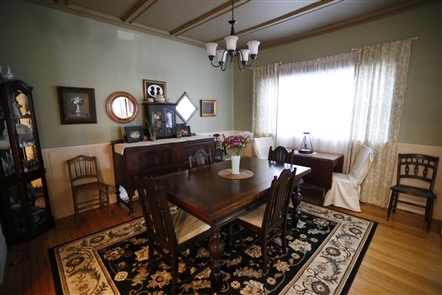 This month's is a late-19th-century home in the Elmwood Village. Click here to give it a look. Air travelers hungry for a chicken sandwich can stop at a Chick-fil-A restaurant inside 28 airports around the United States, but not at Buffalo Niagara International Airport. Nor will they any time soon. Delaware North Cos. on Friday apparently scuttled plans for the area’s second Chick-fil-A announced not even 24 hours previously by the Niagara Frontier Transportation Authority. The News obtained a memorandum of understanding that outlines Oats' contract terms at Alabama through an open-records request. The former University at Buffalo men's basketball coach will earn an annual salary of $2.462 million a year — nearly three times the salary he was scheduled to earn over the course of a contract he signed earlier this month at UB. That will no doubt help make up for the fact that he and his wife are leaving behind the waterfront "dream house" they bought on Grand Island for $1 million.